Click on the image to see or download the full size version. Paris held the Exposition Universelle in 1900, which saw nearly 50 million visitors. It celebrated achievements of the past 100 years and excitement of the possibilities of the next century. Popular exhibits included the Grand Palais and the Petit Palais. 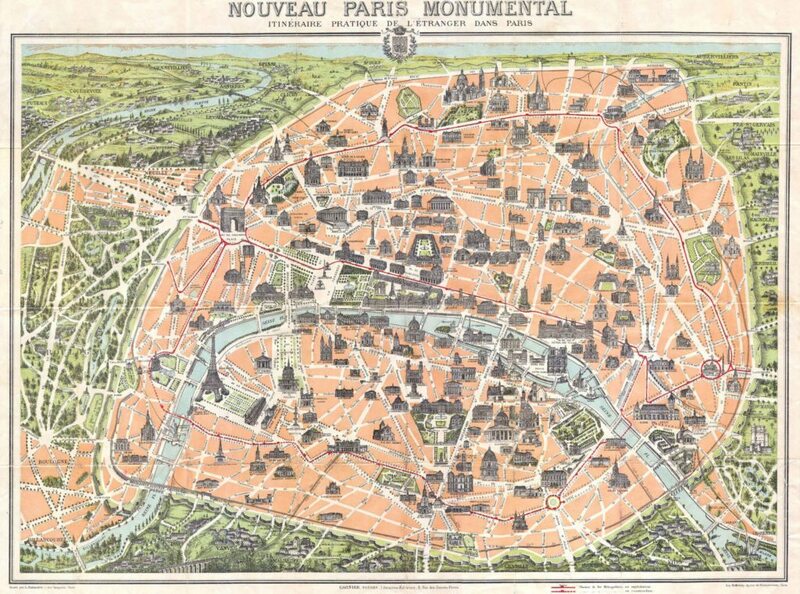 Other 1900 events: Paris hosted the Summer Olympic games. The first line of the Paris Metro opened in July of 1900.